It’s everywhere you look: new “secrets” to healthy living. We are constantly bombarded with new advice and plans to live a healthier lifestyle. A lot of it is the same: eat well, drink a lot of water, exercise regularly, reduce stress, relax, etc. Most of these practical things we all know. But if you were to be truthful with yourself, do you really follow it? We all have those moments of inspiration where we decide to reboot our lifestyle. Maybe it’s from a New Year’s resolution, or maybe from an article we read online. Unfortunately, this often follows the same pattern – an extreme change that is usually not sustainable. We start drinking gallons of water, eating only fruits and vegetables, spend a few hours in the gym, and then go to bed completely exhausted. It’s a good feeling at first, but such an extreme change is hard to sustain. The body is really stressed by this massive change, and sooner or later we find ourselves coming up with excuses to skip the gym or eat those chips. Then, since we “failed” in one thing, we go back to the old lifestyle feeling frustrated and like a failure. Next time you want to change your lifestyle, try doing it more slowly. Our bodies are naturally lazy and naturally don’t want to adapt to new changes, even healthier ones. Trying many big changes at once just minimizes the chance that you will stick to it. It’s best to use common sense and not do anything extreme. The best way is to start with a small goal, and add to it gradually as your body adjusts to the changes. 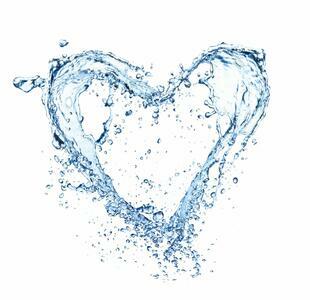 Water is the basic building block of our bodies, making up almost two-thirds of our weight. Naturally, this is the best and often easiest place to start. If we aren’t consuming enough water, and instead filling ourselves with unhealthy drinks, we are undermining any attempt at a healthy lifestyle. Water is essentially for every process in the body. If you don’t have enough water, or are consuming unhealthy drinks instead, it’s like trying to wash a floor with dirty water. Water distributes nutrients throughout the body. But if we don’t have enough water in our systems, the nutrients we consume cannot properly get into our cells. So even if you eat the healthiest superfood, if you don’t have enough water in your body, some of those nutrients will go to waste..
Another important function of water is to flush out wastes from our body. If you don’t drink enough water, waste products and toxins can accumulate in your body. How can we expect our bodies to operate at full power when there are wastes and toxins accumulated throughout it? If you are trying to lose weight, it will be very difficult of you don’t drink enough water. During weight loss, the body is producing even more waste materials than usual. These can only be efficiently eliminated by drinking plenty of water. We can truthfully say: Don’t drink water, don’t lose weight. There is one simple rule with regards to eating: stay away from extreme diets. Man is an omnivore, and should eat accordingly. A healthy diet means eating a variety of foods on a regular basis. There are those who are able to eat just a certain type of food (vegans, raw food advocates, macrobiotics, etc. ), but most people who follow these lifestyles understand the importance of nutritional variety, and are able to substitute “missing foods” with alternatives. It’s easy to think of a healthy diet as just eating the same fruits and vegetables all day, along with gallons of water, and always being hungry. Or maybe just eating a lettuce salad for lunch every day. This is a big mistake. In fact, having just a salad for lunch is very nutritionally incomplete. Vegetables are in a sense neutral, since they contain no fat and very little proteins or carbohydrates. 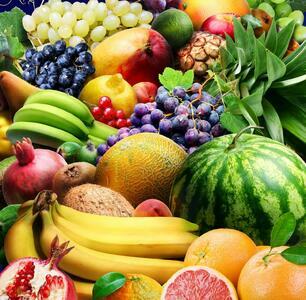 They have a lot of beneficial vitamins, minerals, and fiber, but it must be supplemented with other food. Every meal should have a balance of protein, carbohydrates, and fats. Every week we should eat 30-60 different kinds of food. This is a lot harder than it sounds, as we tend to stick with the same thing, but it is important. Walking is sadly becoming less common in our modern society. Our busy lifestyles and easy access to cars or public transportation mean there is little need for walking. It’s interesting that many people won’t walk during the day, yet will pay to spend time on the treadmill at the gym doing the same thing. You can get the same benefit just by taking an afternoon walk, or getting off the bus a few stops earlier. An increasingly popular activity is a Nordic walking, which uses special walking poles. It is an excellent activity since it not only exercises the legs, but uses many muscles in the upper body. It strengthens the arms, back, and abdomen, and can reduce back and joint pain. It is suitable for everyone, no matter the age of physical condition. Since it is a total body workout, it is great for weight loss as well. 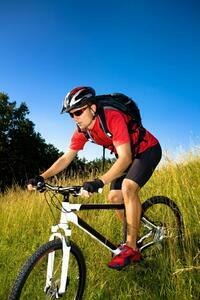 Cycling is very gentle on the joints, so it is great for people with joint pain or who are overweight. It increases the overall fitness of the body, helps with weight loss, and boosts ones mood. Since cycling mainly strengthens the lower body, it is best to do this in combination with something like swimming or upper body exercises. It’s important to always bring water with you when cycling. If you are planning a longer ride, it’s also a good idea to bring along a small snack as well. If walking is the most natural form of exercise for the body, running is the second. It has many benefits including strengthening the cardiovascular system, improving lung functions, burning fat, strengthening the immune system, building muscle, and reducing stress. One potential drawback is the wear and tear on the joints from running. However, a running plan which begins gradually and using proper shoes can actually strengthen the joints and help prevent osteoporosis. The important thing is to buy a good quality pair of running shoes and to start slow. Begin with short distances at a slow pace, or alternate between walking and jogging. As you become accustomed to this, the pace and distance can gradually be increased. Swimming is one of thethe healthiest activities we can do. In addition to the positive effects on the body, it is also a great way to reduce stress. Swimming is a complete body workout, exercising both upper and lower body. As well it is a great cardiovascular workout and increases the metabolic rate, which helps with weight loss. And swimming is for anyone, regardless of age. Even very overweight people can enjoy swimming, since the water supports the body and minimizes any impact on the joints. This creates a upward positive cycle where joints are strengthened and weight is lost. Balancing exercises are great in many ways. These exercises work to strengthen our important stabilizing muscles, like around the spine, pelvis, and abdominals. These exercises help to ensure a correct posture, and that the head, back, and pelvis are all properly positioned. These muscles are normally not used often, especially if you are sitting at a desk or computer all day. This can lead to back or neck pain. Balance exercises can relieve these common pain areas. The key to physical activity is to find something you enjoy, and do it regularly. If you don’t like running or cycling, then you shouldn’t force yourself to do it, since this will inevitably lead to failure. There are many things you can do that are great for your body. Yoga, pilates, even house cleaning are all beneficial. Over time, you will find yourself looking forward to these activities every day. That sense of enjoyment shows that you are well on your way to a healthier lifestyle.